Gospel singer DK Kwenye Beat has been lying low like an envelope (big pun intended) after he was accused of infecting a Nakuru lass with herpes. The scandal saw the Sari Sari hitmaker commit social media suicide; he deleted all the photos on his Instagram account. Real situations expose fake friends in your life. Ni Hekima kukata Nyasi Uone Nyoka (It is wise to cut the grass and see Snake). 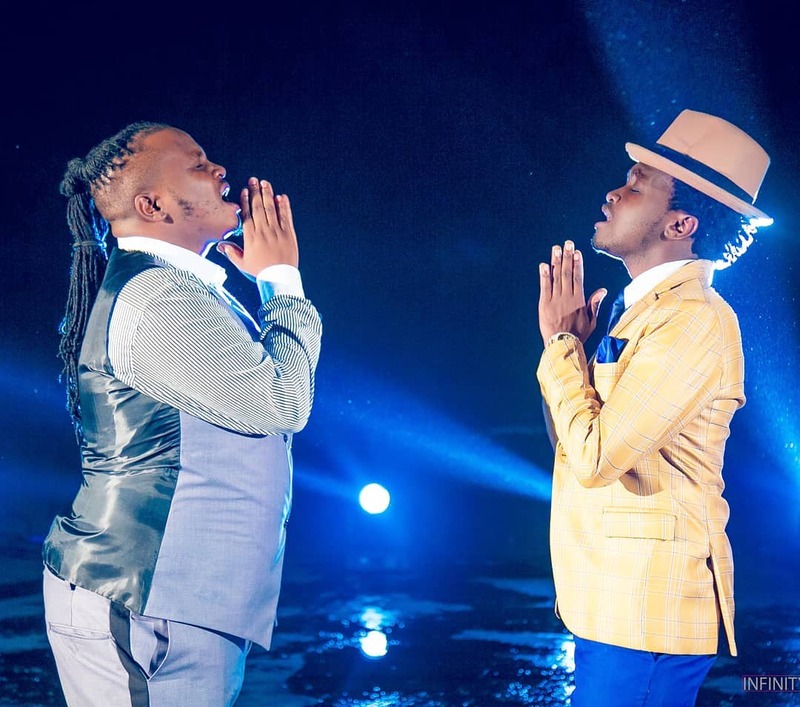 In another post, the Pakacha hit singer shared his prayer, asking God for guidance. Lord, I ask for your guidance today as I set out for better opportunities than yesterday. 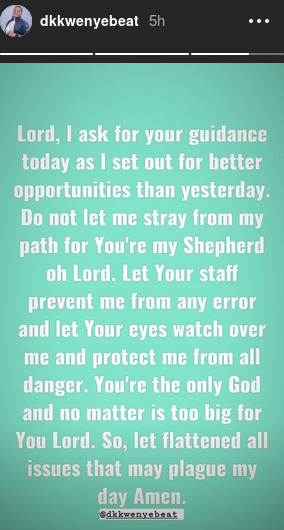 Do not let me stray from my path for you’re my shepherd oh Lord. Let your staff prevent me from any error and let your eyes watch over me and protect me from all danger. You’re the only God and no matter is too big for you Lord. So, let flattened all issues that may plague my day Amen.